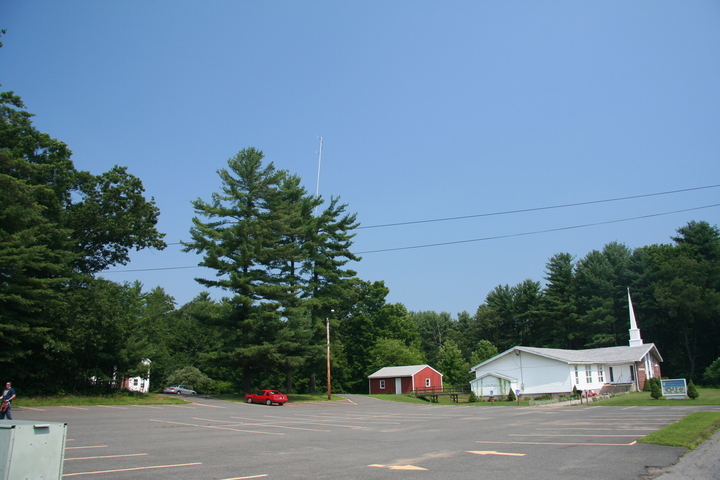 Living Waters Assembly of God church on Davis Street in Greenfield is the home of WLPV-LP (107.9 Greenfield). If you read my last photo gallery, you might be wondering why I went back just two weeks later. Simple: on my previous visit, I neglected to take any picture of the church building itself, where the studios are located. The weather was also better this time, so you can actually see the pole sticking up out of the pine tree.